At Right Pest Control, we often get distressed calls from customers in Melbourne’s northern and eastern suburbs about bees and bee infestations. We all remember the first time we were stung by a bee, usually as a kid. It’s painful, and unpleasant, and, due of this, bees frighten many people by merely buzzing around the garden. But if you have bees in your backyard, you should consider yourself lucky! Bees are not considered pests at all, instead they are, according to some, the most important animals on the planet! However, this doesn’t mean we always want them to make their home where they choose to make it, and that’s where Right Pest Control can help. So why are bees so special? Bees are the world’s most vital pollinators. Pollination is a fertilisation process in which pollen—a powdery substance found on flowers, the male “sperm” of seed plants—is transported to the female reproductive organs of another plant. For seed plants to pass their genetic information on to the next generation, the process of pollination is vital. For this to be successful, pollination requiring a pollen grain, produced by the anther, or male part of the flower, being transferred to a stigma, or female part of the flower of the same species. Bees help the world by transferring pollen from flower to flower through a process known as “biotic pollination”. So what makes honey bees the most important pollinator for agricultural crops worldwide? Bees are great pollinators as the hairs all over their tiny bodies attract pollen grains through electrostatic forces. Anatomically, stiff hairs on the legs of bees enable them to groom the pollen into special pollen sacs on their legs or body, and then carry it back to their nest or hive. In addition to their anatomical advantage, individual bees commonly focus on one type of flower at a time, which means it is more likely that pollen from one flower will be transferred to another flower of the same species by a particular bee. Many plants require this kind of pollen distribution, known as cross-pollination, in order to produce viable seeds. This process makes bees one of, if not the most, vital species to exist on the planet. As bees pollinate 80% of flowering plants on Earth – with a single colony able to pollinate an astonishing 300 million flowers every day – bees are the major contributor to the natural floral landscape as we know it. In turn, this makes them very important for humans, as bees pollinate 70 of the top 100 food crops, with fruits such as avocados, apples and cherries being 90% dependent on bee pollination. So, are bees pests? Even though the answer is a definite no on an environmental level, bees can take up residence on your property in undesirable locations. Often they will make their hives in doorways, corridors, in eating areas, and where children are playing. They can even inhabit roofs and the inside of walls. For anyone suffering an allergic reaction, one sting can prove deadly. 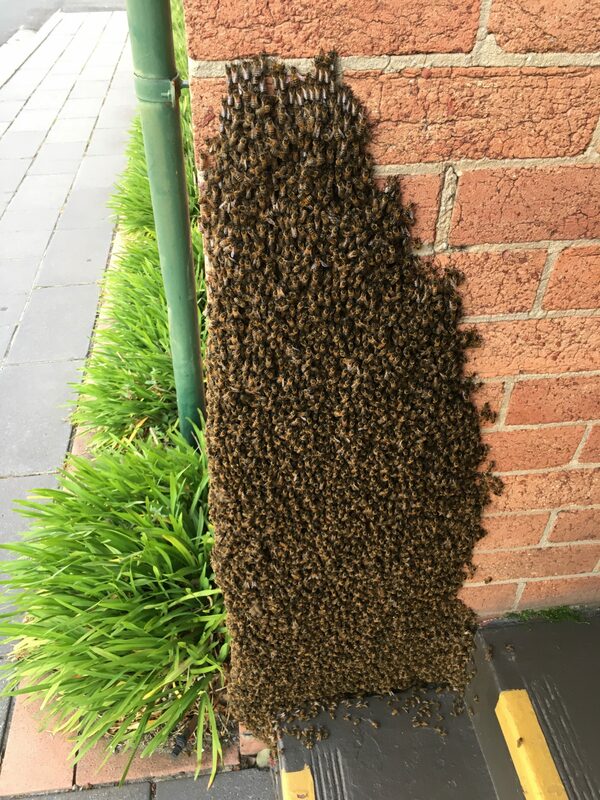 That is why it is important that you call the knowledgeable pest removalists at Right Pest Control on 0478 308 361 if bees take up residence in your house or property in Melbourne’s northern and eastern suburbs. We will safely remove, and rehome, swarms and hives to set your mind at ease.